Himmerland Movers is a member of "Dansk Møbeltransport Forening", which is a member of the European umbrella organization for moving companies. FEDEMAC was founded in 1959 and is composed of national trade associations - and individual moving companies, in the few countries that are not represented by a national trade association. The national associations meet once or twice every year. FEDEMAC is the common platform, where thair chairmen and staff from the national associations can exchange political views and discuss challenges for the relocation business. 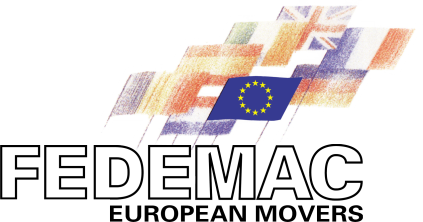 The Organization for European Movers (FEDEMAC) were officially registered as an independant European organization 1. January 1995 in Germany. Untill then, the administration were handled by AMOE - The German association of Movers. Today FEDEMAC represents approx. 4,000 professional moving companies in 27 European countries. The main purpose of FEDEMAC is to express concerns and needs in the relocation businesson on European level. Much of this work is centered on lobbying in the European Parliament and the Commission, as well as contact with the national associations and other trade organizations.